This summer, ensure you eat enough curd. In India, curd equals comfort food. It’s cooling, soothing, nutritious and light – just what the doctor ordered for a scorching Indian summer. No wonder it’s one of the top 10 summer foods that can help you drop kilos. Six ounces of curd – approximately ¾ cup – provides your body with 100-150 calories, 2g of saturated fat, 3.5g of fat, 20g of sugar and about 8-10g of protein. It also provides your body with about 20 percent of your daily vitamin-D portion with 20 percent of your daily calcium value. Clearly, curd brings many kinds of benefits. We list down some of them for you. 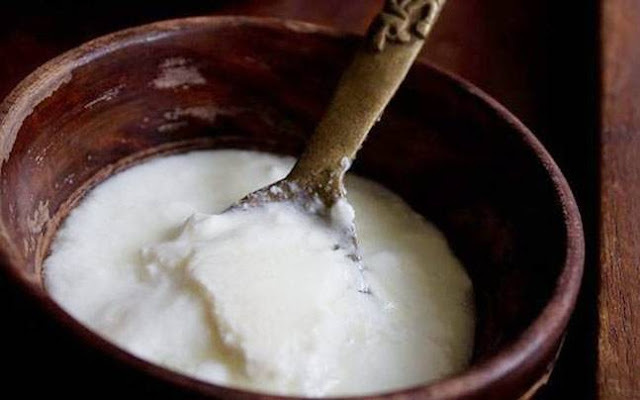 Curd is the lightest and most-effective fuel you can rely on during summers. It can keep you hydrated and boost your energy levels at the same time. Add a little salt or sugar, and your body will feel more balanced and energised. Dahi is also a great stress-buster and lowers anxiety levels. Curd is packed with the healthiest bacteria, which makes it a brilliant gut healer. Its probiotic nature improves the immunity system, and can potentially help your body fight everything from virals fevers to common cold and infections. Dahi is also good for every kind of gut issue, from indigestion to bloating. Curd clears out and restrains cholesterol formation in the arteries, and beats down the risk of coronary heart diseases. It also helps control blood pressure in the body. It's one of the best things you could have for your cardio-vascular health. Curd is chock full of calcium, which can help keep your bones and teeth healthy. It also contains minerals like phosphorus, which, in association with calcium, intensifies your bone growth. Dahi can potentially keep diseases like arthritis and osteoporosis at bay. People who are lactose-intolerant or do not like milk can actually indulge in curd without any fear. Curd imbibes all the boons of milk, and benefits the body the exact same way. Its added benefits make it a must-have in your daily diet. With minerals like zinc, phosphorus and vitamin E, curd naturally improves skin quality like no skin cream can. From moisturizing your skin to keeping acne and blemishes away, curd does it all. And did we mention the natural glow it brings? Have you already tried a number of hair care products to get rid of dandruff and failed? It’s time to try curd! Dandruff is basically a fungal infection, and curd – due to the availability of lactic acid – has anti-fungal properties. Apply some curd to your scalp and leave it on for an hour or so. Wash it off with water to eliminate dandruff. Eating curd regularly can also improve the absorption of vitamins and minerals from other foods in your body. Isn’t it time you added a bit more to your plate?